The accusations mark the second round of charges related to the investigation into the Flint water crisis. 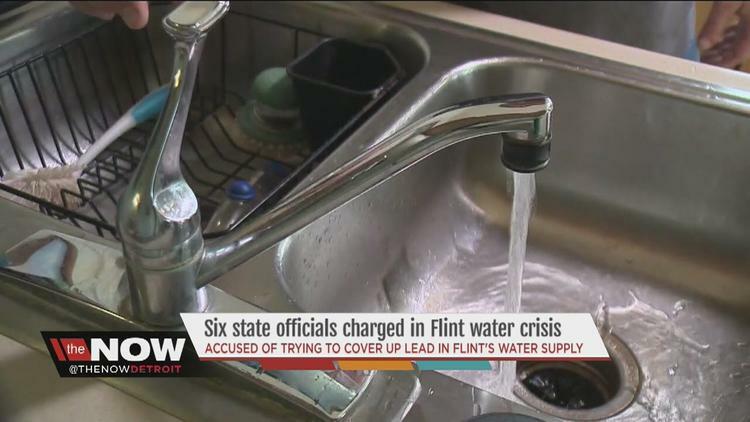 Six Michigan state employees were charged Friday in connection with dangerous lead levels in the city of Flint’s drinking water, the Detroit Free Press reported. The criminal charges were filed by Michigan Attorney General Bill Schuette against three employees from the state’s health and environmental departments, the newspaper said. The accusations mark the second round of charges related to the investigation into the Flint water crisis. Schuette was scheduled to hold a news conference on Friday about the charges. Flint, with a population of about 100,000, was under control of a state-appointed emergency manager in 2014 when it switched its water source from Detroit’s municipal system to the Flint River to save money. The city switched back last October. The river water was more corrosive than the Detroit system’s, and caused more lead to leach from its aging pipes. Lead can be toxic, and children are especially vulnerable. The crisis has prompted lawsuits by parents who say their children have shown dangerously high levels of lead in their blood. The Free Press identified those charged on Friday as Department of Health and Human Services workers Nancy Peeler, Corinne Miller and Robert Scott, and Department of Environmental Quality employees Leanne Smith, Adam Rosenthal and Patrick Cook. A spokeswoman for the Genesee County District Court confirmed the filing of six complaints but had no details. Three state and local officials were criminally charged in April in connection with the investigation. Flint utilities administrator Michael Glasgow subsequently agreed to cooperate with investigators as part of a deal that had him plead no contest to a misdemeanor charge while a more serious felony charge was dismissed. Department of Environmental Quality officials Stephen Busch and Michael Prysby were charged with five and six counts, respectively, including misconduct in office, tampering with evidence and violation of the Michigan Safe Drinking Water Act. Both pleaded not guilty. Schuette last month sued French water company Veolia Environnement SA and Houston-based engineering services firm Lockwood, Andrews & Newnam for “botching” their roles in the city’s drinking water crisis.